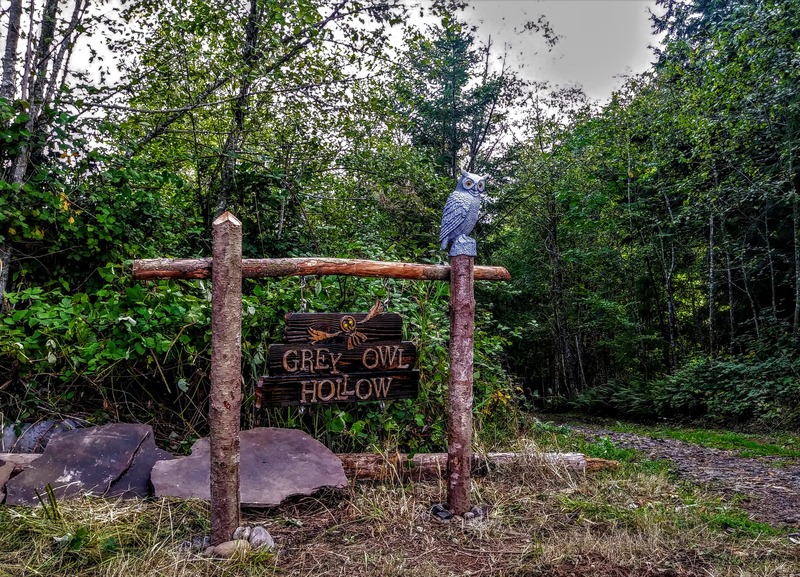 Grey Owl Hollow is an intimate, diverse, and whimsical destination conveniently located just off interstate 5 between Portland and Seattle. Great care has been taken to provide our visitors with a tranquil, rustic, and delightfully playful experience on each visit. Grey Owl Hollow is available for group bookings annually between April 1st and November 30th. 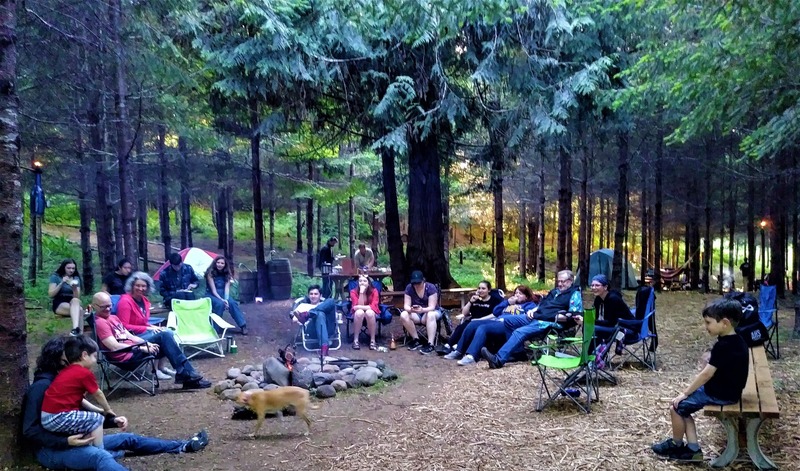 In addition to our campground, the Great Hall - an indoor meeting/dining/reception space, and restroom facilities, groups are also welcome to make full use of the forest, meadow, pond, labyrinth, blackberries and orchard! 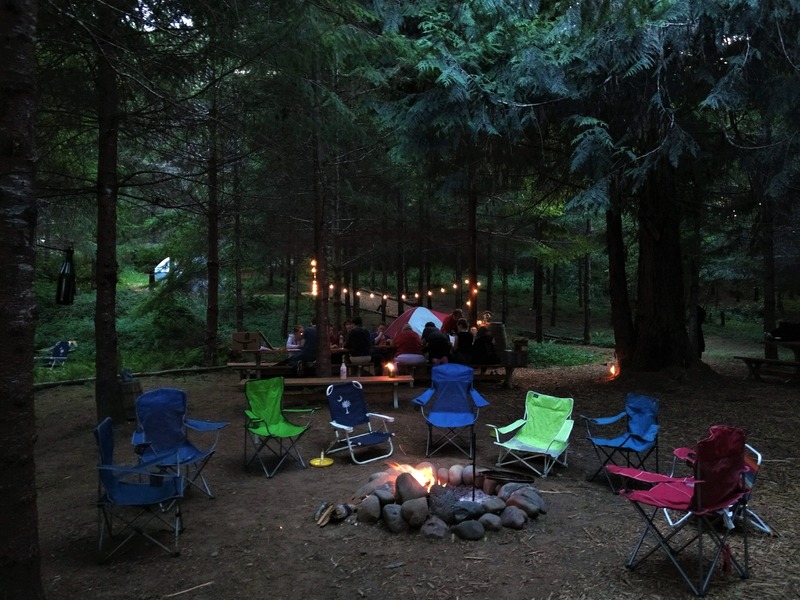 Enjoy the long summer nights - run through the tall grass, walk the forest paths, gather around the campfire toasting marshmallows while building lifelong memories and connections. We are available for any kind of outdoor event - airsoft matches, LARPing, corporate retreats, church retreats, bible study - if it can be done in the outdoors, we can host it! 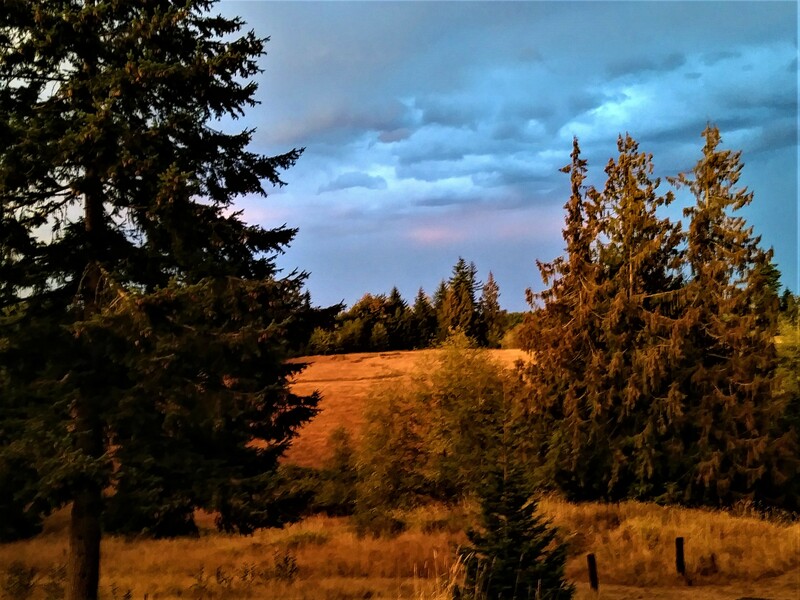 Come relax in the deep quiet of our fir tree forest, and then stroll through the 4 acre meadow as the sun sets. 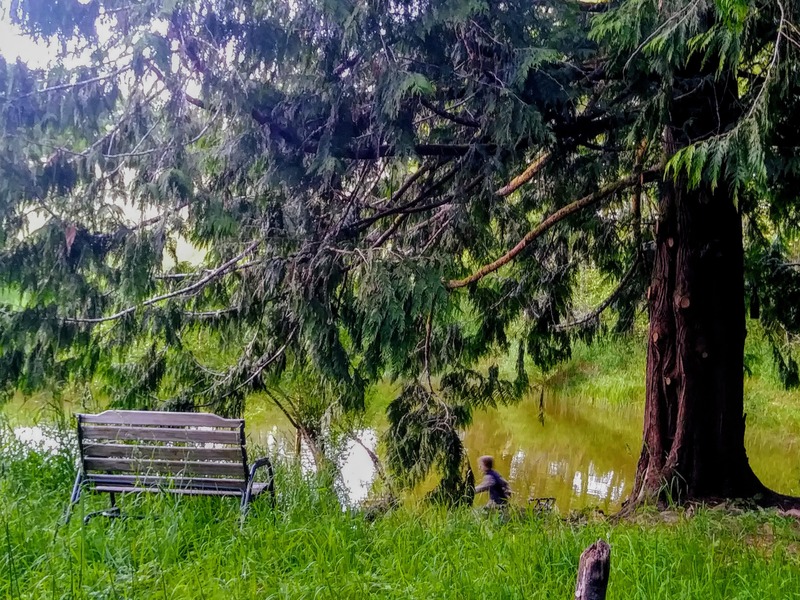 Swing in a hammock by the frog pond while listening to the birds, and catch a hint of a distant campfire. Feeling adventurous? 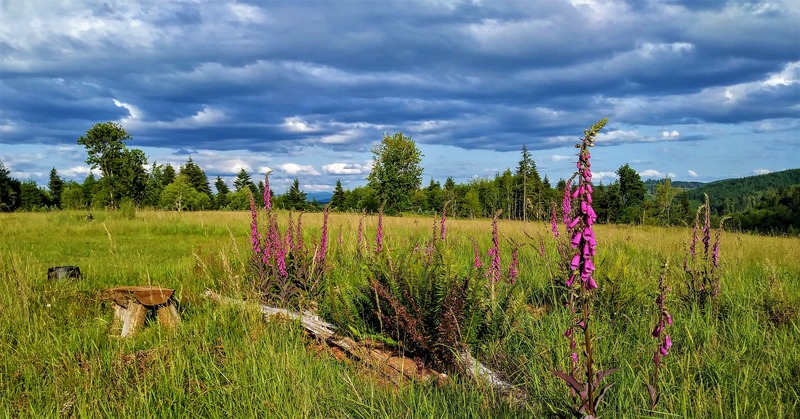 You are free to explore the 16-acre cedar, fir, maple and alder forest, or strike out into the expanse of forested acres surrounding Grey Owl Hollow. Black-tailed Columbian deer are regular visitors, and we play host to mountain beavers, raccoons, and a variety of squirrels and chipmunks. 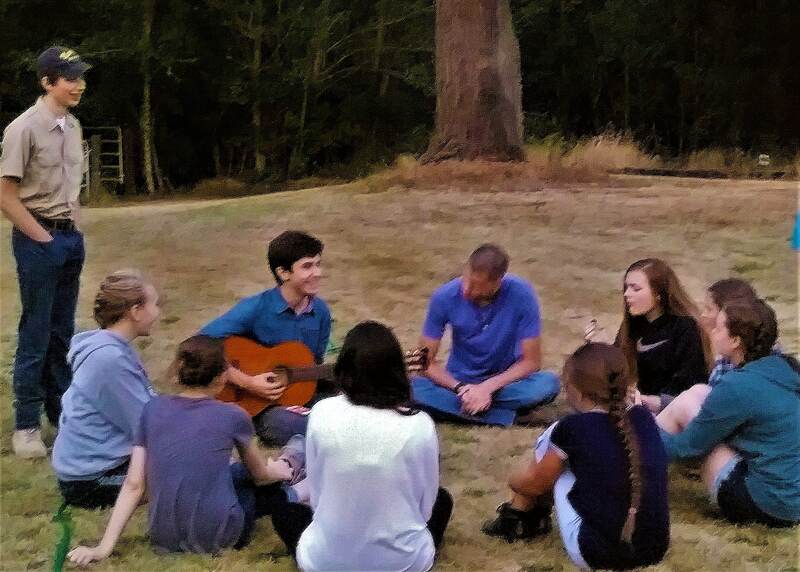 In addition to individual fire-rings, we provide a large central ring that is ideal for sing-alongs, deep discussions and true quality time with your friends or family. For bicyclists and hikers, we are only 20 to 45 minutes from a number of state and national parks, including the majestic Olympic National Park. 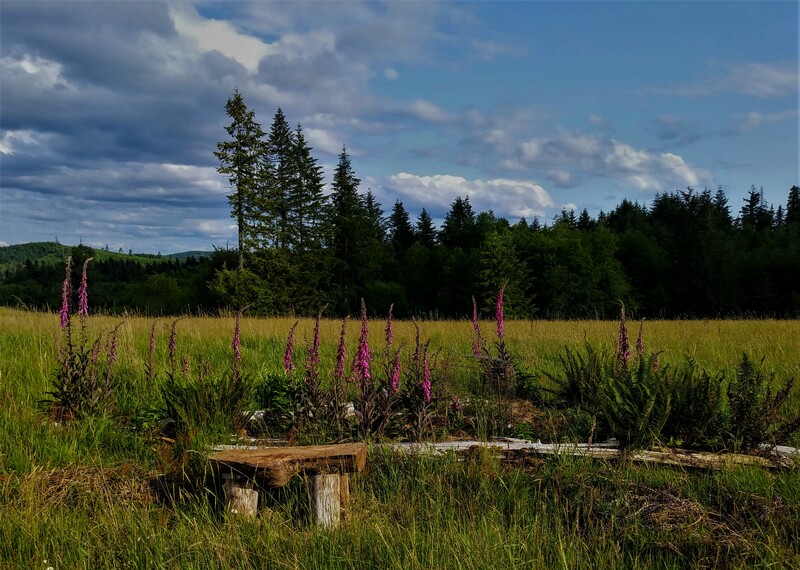 The nearest is Capitol State Forest which features hundreds of miles of hike/bike opportunities, many creeks and streams, and even a hidden waterfall. Have you dreamt of a small but special outdoor wedding? Perhaps in a forest, by a pond, in a cedar grove, a labyrinth or meadow? Grey Owl Hollow has numerous outdoor sites for an intimate wedding, and a “Great Hall” for your reception with room for up to 75. Getting married in nature can be simple and affordable at Grey Owl Hollow. 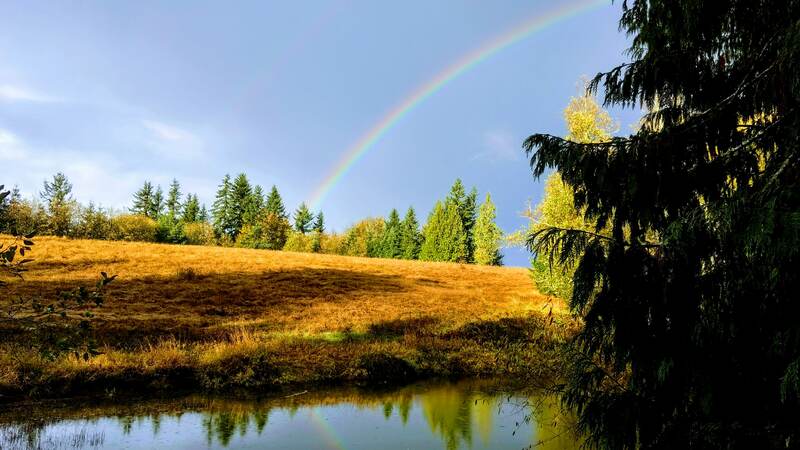 Located only 90 miles from both Portland and Seattle, we are an easy “destination” venue, with a number of excellent hotels within 20 minutes of the grounds. There are also many spots suitable for wedding tents, and we are happy to work with you to best support your vision of this special day. We support weddings of all types - all faiths (including 'none'), all genders, and all people are welcomed and accepted here. Remember to ask about our photogenic animals for your unique wedding tableau photos! In the same way that an animal suffers when removed from the habitat to which it has evolved, humans need nature, and, in particular, forests. Forest therapy is not the same as just walking in the woods. 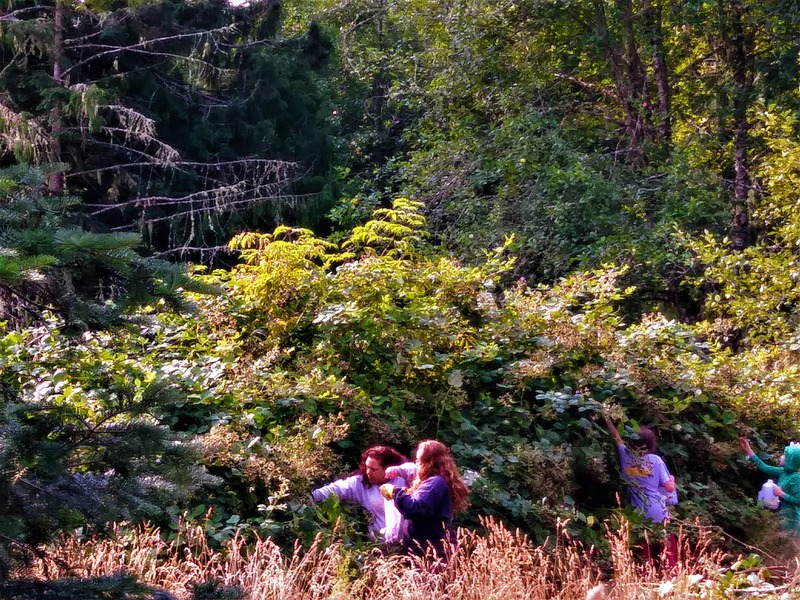 It is a guided experience that includes activities that are specifically designed to help participants perceive and interact with the natural world in a way that very few in “civilized” societies do. 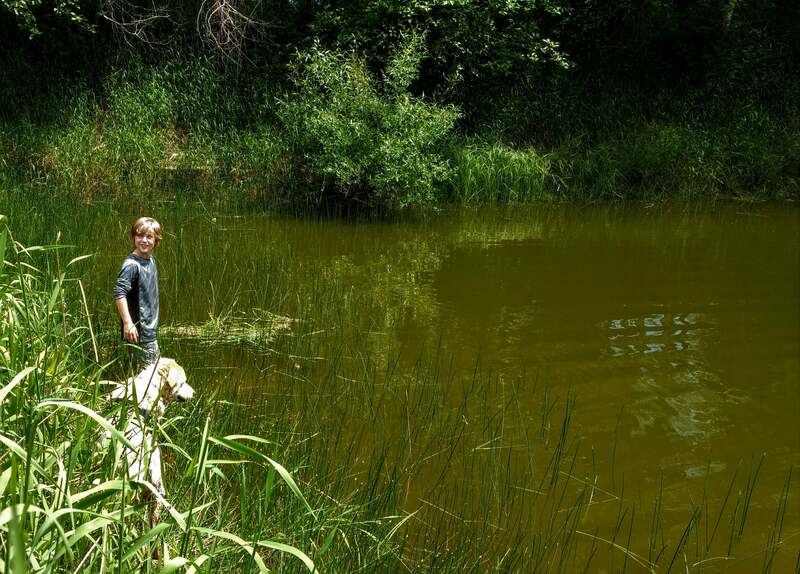 There is an ever-growing body of worldwide scientific studies that reveal not just the mental, but physical benefits of Nature Therapy and, in many countries, nature therapy is becoming an integral part of health care. 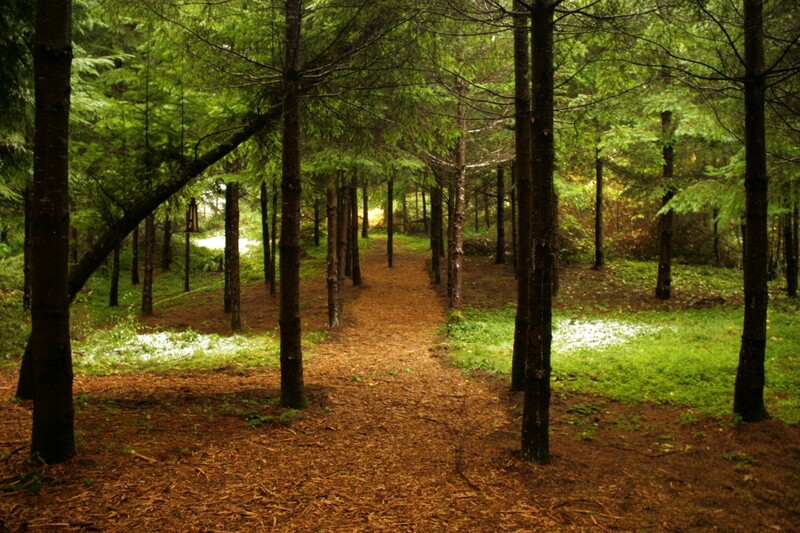 Spending mindful time in a forest has been shown to be extremely beneficial for everything from depression and anxiety to immune system disorders. 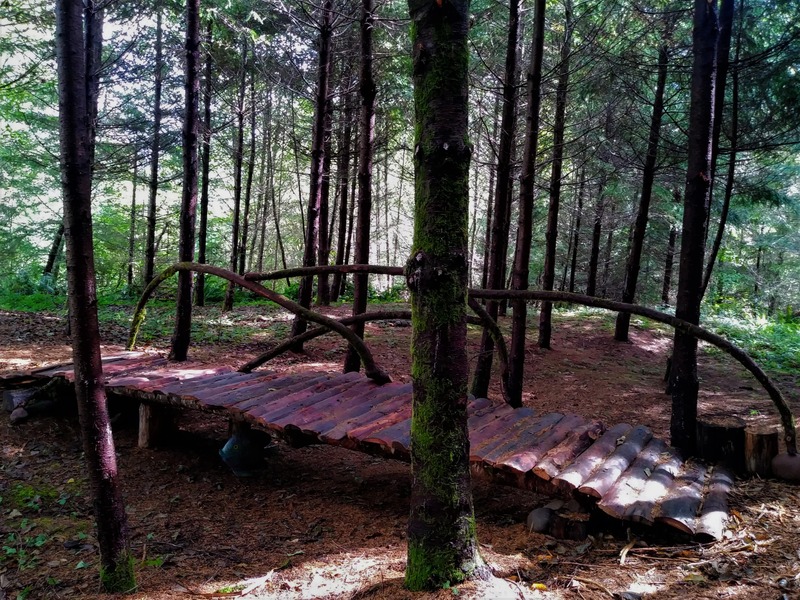 Seth MacNeely, certified Nature Therapy Guide, is available to lead walks for your organization or business - if your workplace is dealing with heightened stress, needs to build connection between its members, or is looking to enhance creativity, forest therapy will help you out. 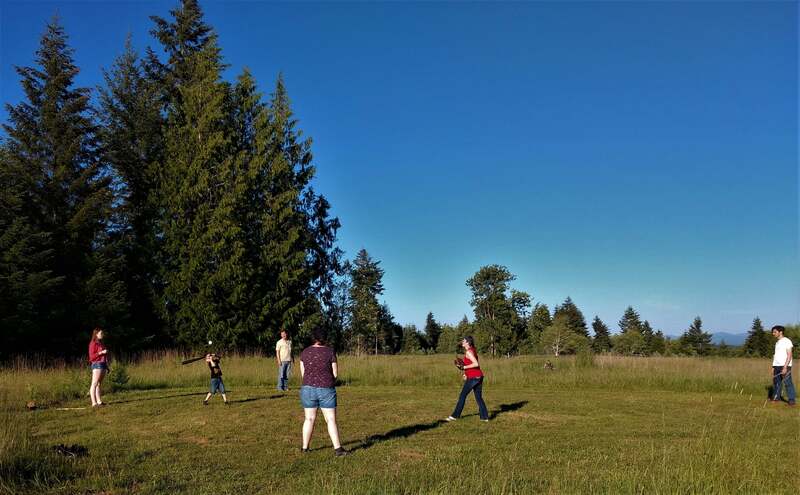 Seth is familiar with a variety of natural spaces between Portland and Seattle and will help you pick a time and location that will work for your group. To find out more, please contact us! Labyrinths are a form of walking meditation, not a problem-solving maze. (No Minotaurs here!) There is only one way in and out, but the path turns in intentional and surprising directions. A continuously looping path creates a kind of serenity in the walker. Walking and turning, looking left to right, all stimulate the hippocampus. As you shift your direction you also shift your awareness from right brain to left brain. This is one of the reasons the labyrinth can induce receptive states of consciousness. The labyrinth disengages the thinking mind and invites the intuitive to be more present. Labyrinths date back to the oldest records and artifacts that have ever been discovered. In Siberia, for example, there are hundreds of stone labyrinths that were created more than four thousand years ago by a people who are now lost to time. They can be found on every continent (with the assumed exception of Antarctica), and in every age. On some level, the spiraling design and weaving path speak to something that is fundamental in us, and walking our labyrinth, you might start to get what that is. 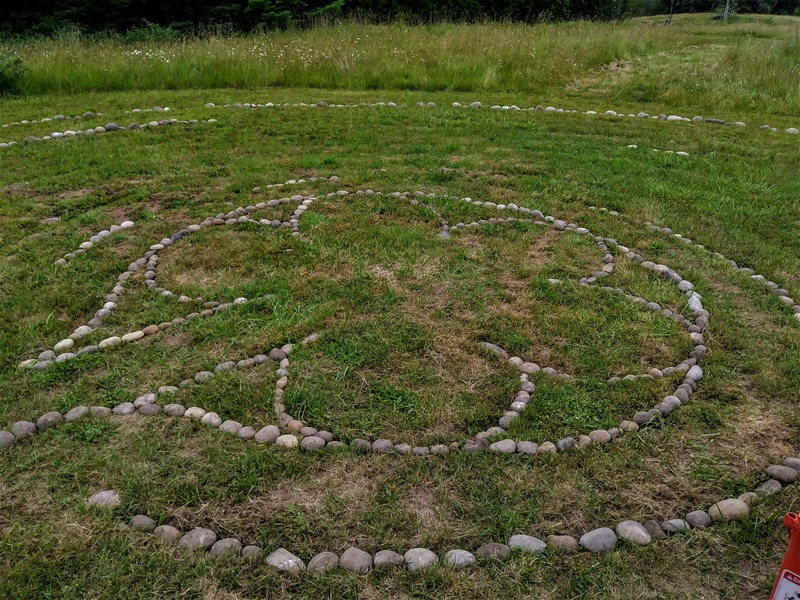 Here at Grey Owl Hollow, we were blessed with room for a 30 foot diameter labyrinth, designed and laid out by Jamie Edmonds of Transition Labyrinth. Walk at your own pace, stop to admire the spectacular view, or focus on a challenge you are facing. The center has spacious clover pattern for those who choose to sit in silent meditation before returning to the path. Our Labyrinth is open to our guests, campers, wedding parties and interested parties on a drop-in basis. If you’d like to visit, please contact Grey Owl Hollow for directions from the road. Grey Owl Hollow is proud to partner with Acceptance: A Transformational Place in the pursuit of a better way forward for all of us. 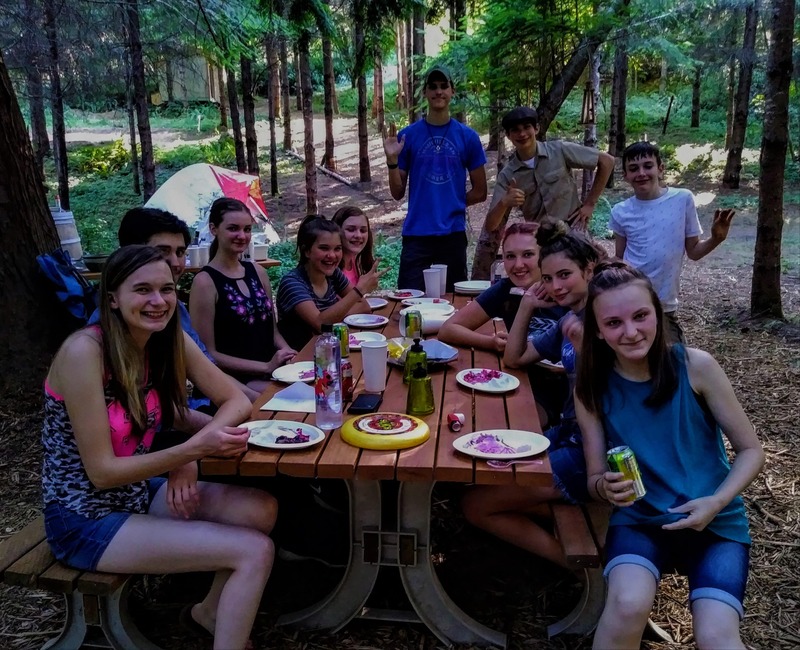 Since the summer of 2017, we have hosted family camping for Acceptance here at The Hollow, and we have been deeply gratified by the way families have found peace and connection. 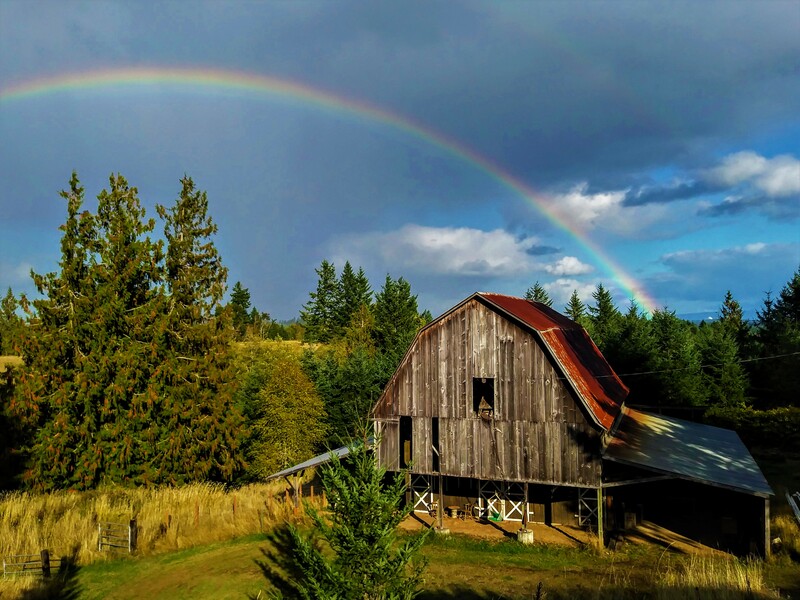 We are committed to Acceptance’s vision of connected community and environmental restoration, We are currently working with them to acquire the 20 acre parcel immediately to the east of us. 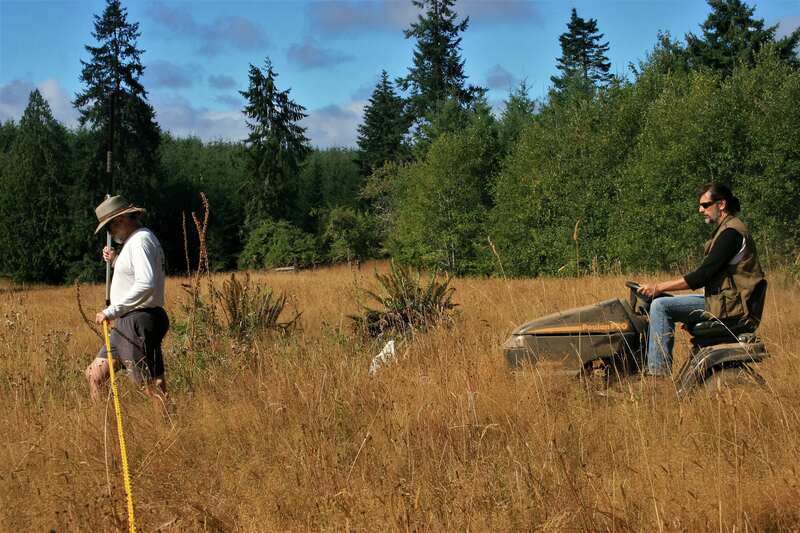 Once we have the land, a grand vision can begin to unfold that will hold great healing potential for both the land (which was clear-cut in 2015), and for the residents and guests. Please check out the Acceptance site and join us in building a more beautiful world. The land of Grey Owl Hollow has been through many changes over the years. For most of the 20th century, it was a working dairy farm and it’s meadows were grazed by cattle who wintered in the barn. In the early 2000’s, the last of the cattle were sold off, and the land has lain fallow since then. Several parts of the land were clear-cut & replanted over the years, but other parts contain near-old-growth trees (100 years or older). We are working to restore the forest to health and expand the population that lives here. The first people to settle this area were from the Kwalhioqua and Suwal tribes. There is very little known about the Kwalhioqua, and less still about the Suwal. By the mid-1800’s, these groups were down to just a few members, and they were eventually incorporated into the surrounding Chinook. It seems likely, in the absence of other information, that they engaged in the same kinds of behavior and life-style. For the Chinook, the majority of their lives came from the rivers, and they made their homes on the banks in longhouses made of cedar planks split from the giant trees of the forest. Trees would be felled using fire and stone (later iron), and then split using a wedge made of antler. These houses could be quite large, and would house an entire extended family/clan. A village would be made up of several of these, and marriages were arranged between members of different clans. The mainstay of the diet was the salmon, and many religious rites and observances centered around this and other animals. The forests had deer, raccoon, beaver, and many other species as well. The cedars were also used for building large canoes for transportation on the many rivers in the area. Whole logs would be carefully hollowed out using tools and fire, and such craft were/are extremely rugged and seaworthy - even being used for coastal ocean travel. The Hollow is near the headwaters of several creeks which feed into the larger, and salmon bearing, Lincoln Creek. It is virtually certain that these hills and meadows were hunted for more than 12,000 years before European settlers arrived. For reserving an individual camping site, please visit our HipCamp page. For all other purposes, please use the form below! 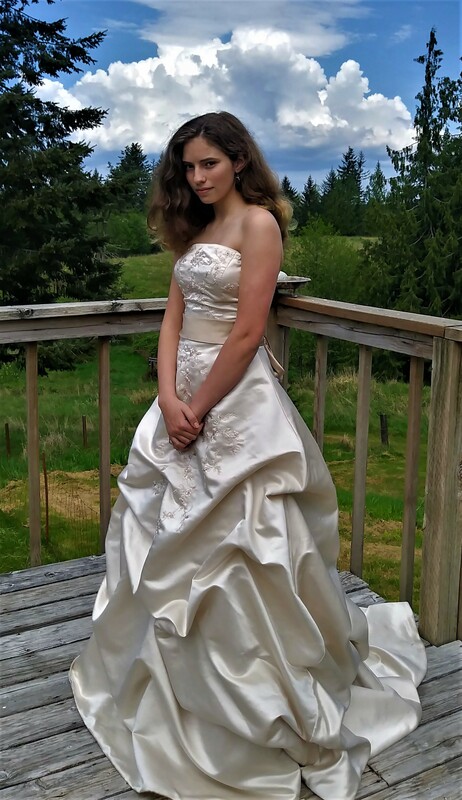 Name Email Address Phone Number I Would Like To Contact Grey Owl Hollow About Select one...WeddingsGroup EventsNature Therapy Expected Group Size Dates Please tell us about your event and what we can do to help make it memorable!